I made a couple of shots of fiddler crabs recently and decided I wanted to identify them. It turned out to be a bit harder than I thought. Turns out there are nearly 100 different species of Fiddlers and I could only find one picture of this one. Unfortunately it appeared on a list of unidentified species. 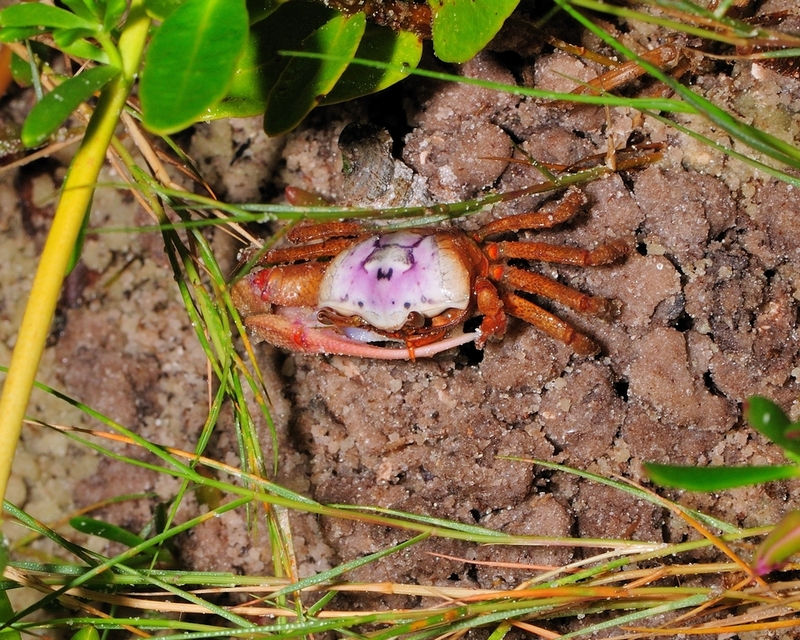 UPDATE: Thanks to the fiddlercrab.info site it was identified as Uca Pugilator but they are not normally so brightly colored. This one I do know though. 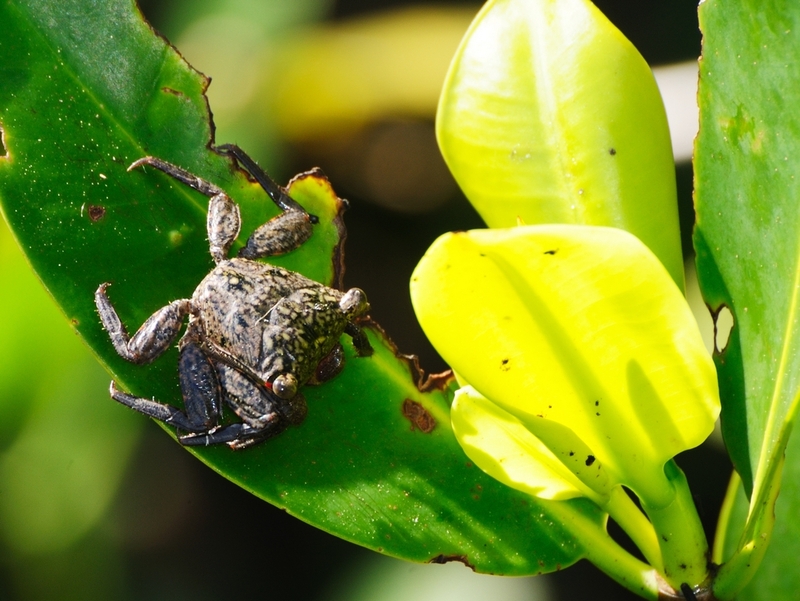 It isn’t a fiddler it’s a Mangrove Tree Crab. 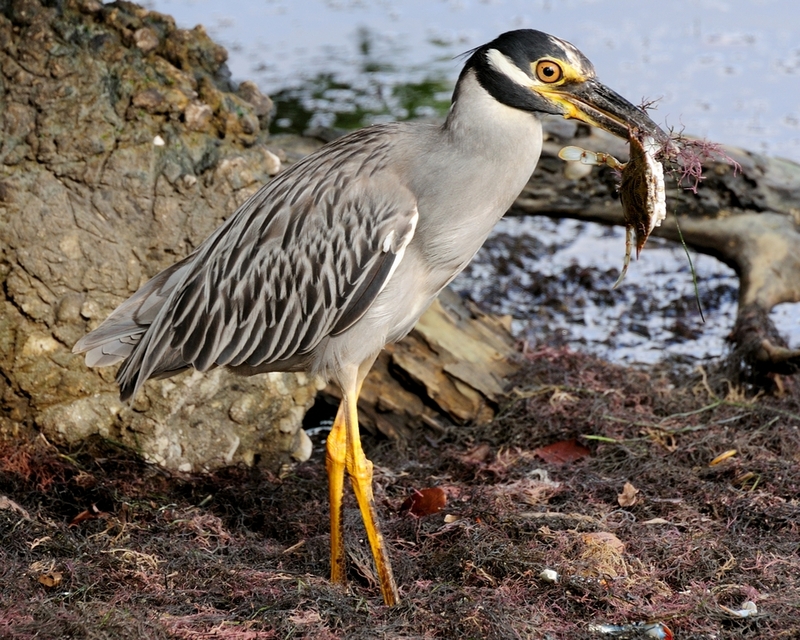 Of course, we also have the Blue Crab but this Yellow-crowned Night Heron beat me to it. From the claw on the ground, it’s a female. This entry was posted in Other Animals and tagged Photography. Bookmark the permalink. 2 Responses to Feeling crabby? BTW, did you know that the JapAnchored name links back to your old blog?